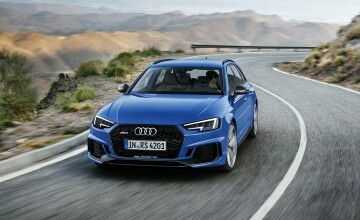 THEY'RE an interesting lot at Audi. Their engineers put together some extremely well-built, powerful cars. Then, without even asking, they make them even more powerful. 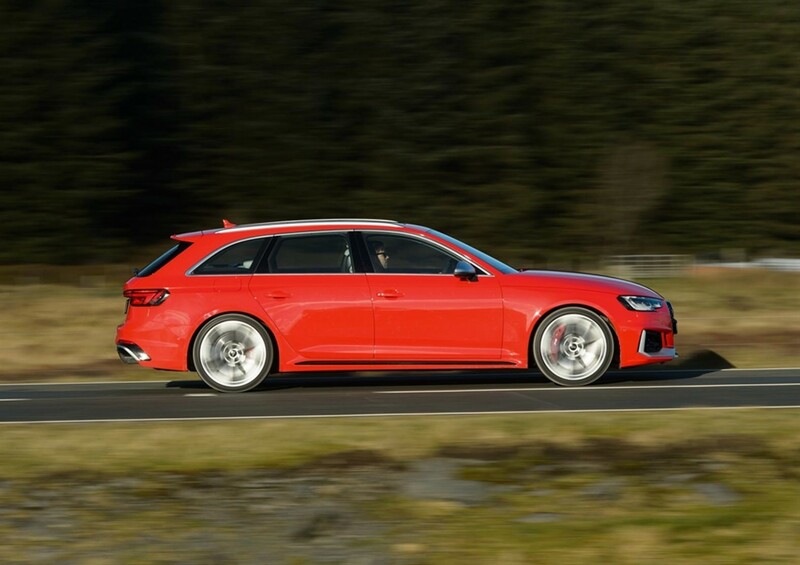 What's true is that Audi's Avant models are famed for granting real world access to extreme performance for those whose lives demand a more practical, family-orientated vehicle than say a Ferrari. 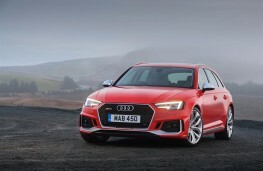 Now, upholding the strong foundations of the trailblazing 1993 Avant RS2, comes the new 444bhp fifth generation successor RS 4 - an intoxicating blend of tremendous everyday usability and phenomenal pace. 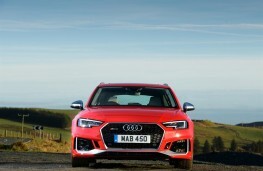 It doesn't look like some sort of Mad Max-inspired fire-breathing beast even though its design draws inspiration from the Audi 90 quattro IMSA GTO competition car. The power which resides within is merely hinted at by the sizeable front air inlets, wider wheel arches and, at the rear, the RS-specific diffuser insert, oval tailpipes and roof edge spoiler. In profile, 19-inch forged aluminium ‘10-spoke star' alloy wheels add to the air of potency. 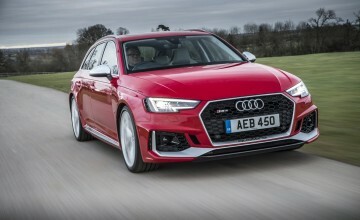 In the latest RS Avant, the new V6 biturbo develops peak torque of 600Nm, trumping the output of the outgoing model by a hefty 170Nm. 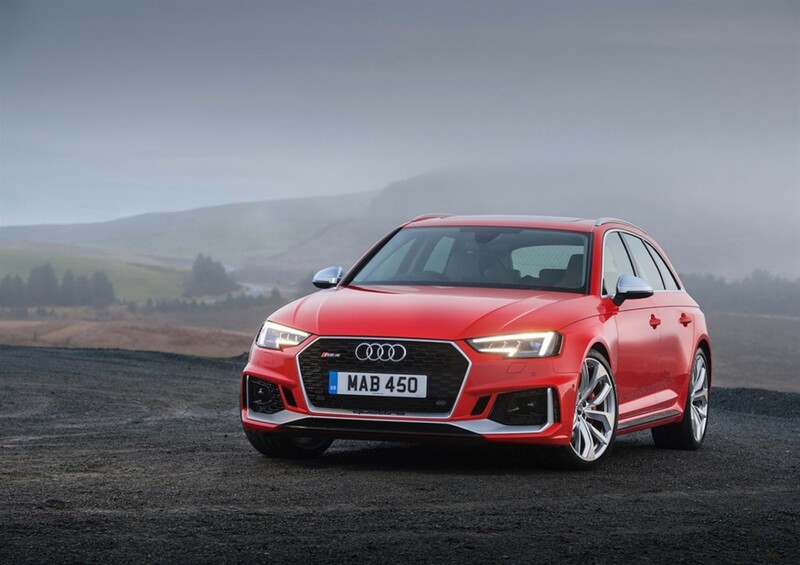 What's more, this peak remains constant from 1,900 to 5,000rpm, and facilitates a sprint from 0 to 62mph in a supercar-challenging time of 4.1 seconds and on to a top speed governed to 155mph. 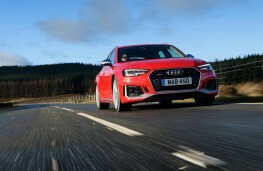 If you fancy holidaying on the Autobahns, this can be optionally increased to 174mph. Let me just remind you, this is a family estate with enough room for the other half, 2.4 children and the Labradoodle. 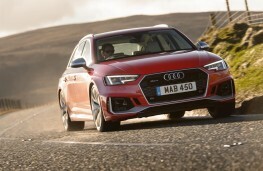 The good news is, despite the extra performance, the 2.9-litre TSFI's sonorous V6 power unit still returns up to 32.1mpg and 199g/km - a 17 per cent improvement over the previous model which is achieved with the help of an overall weight reduction of 80kg versus the outgoing RS 4. Not that efficiency is going to worry many prospective owners. 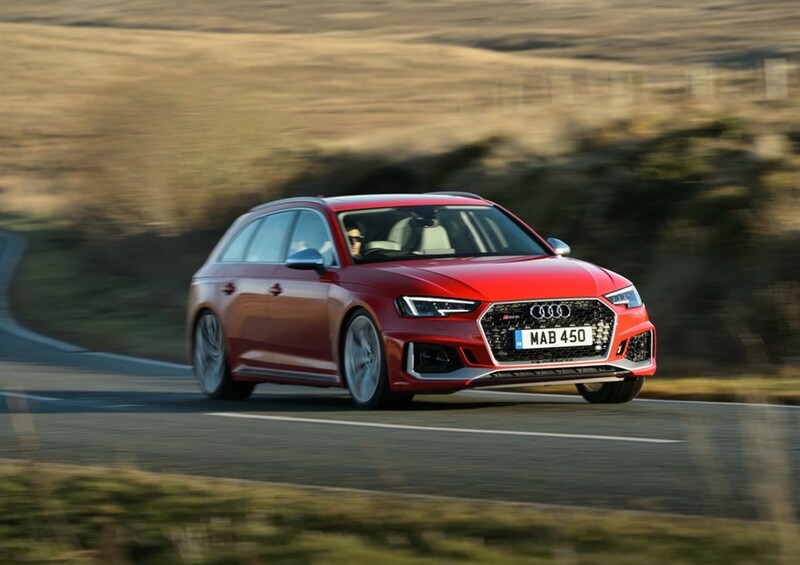 The massive power of the 2.9 TFSI is channelled to the road via the quattro permanent all-wheel drive which flexibly distributes torque as needed via the centre differential. The standard eight-speed tiptronic has been designed to maximise the potential of the more extreme engine and is delightfully responsive. 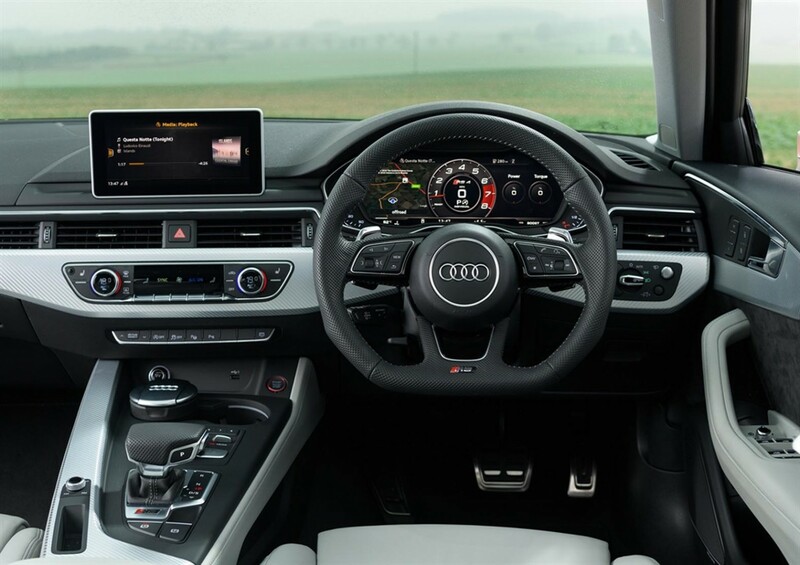 The driver can choose between the modes D and S or change gears manually either by tapping the selector lever or by using the shift paddles on the flat-bottomed multifunction sport steering wheel. 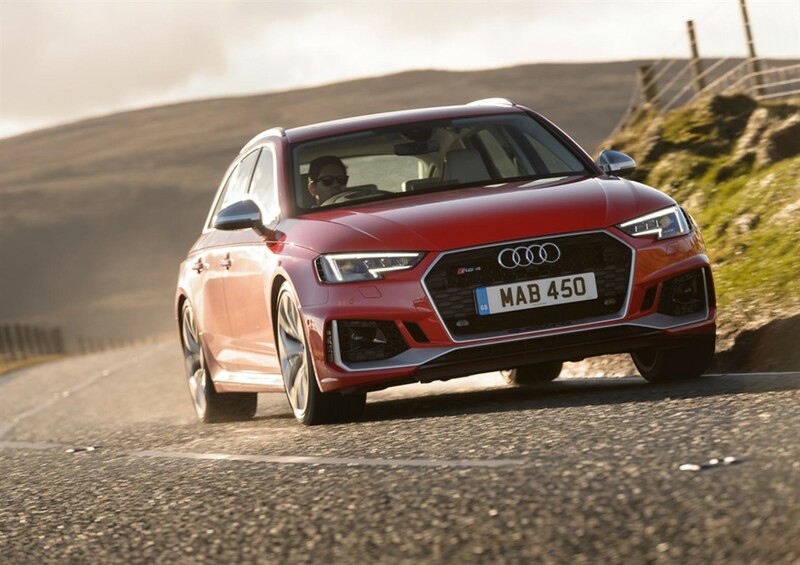 RS sport suspension is standard though hydraulically controlled damping offered by Dynamic Ride Control (DRC) is available as part of the Â£2,000 RS sport suspension plus option. 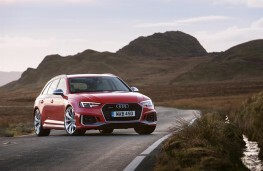 It offers three settings - Comfort, Auto and Dynamic - which are adjustable via the Audi drive select system. 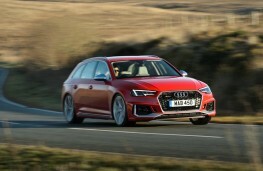 Despite all that power, the RS 4 Avant drives very sweetly indeed, exactly as you'd expect a premium family saloon to drive. It's plenty capable of taking the kids to school, doing the weekly shop, or tanking across France full of kit for the annual summer holiday. However, be a little less frugal with the accelerator and it becomes a twin turbo-powered bellowing ballistic missile on a mission. 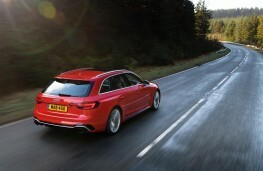 It is simply astounding - a family estate with supercar speed and, equally importantly, supercar handling. Yes, it's a little firm, but acceptably so - the air suspension delivers a comfortable ride and there's little or no body roll when cornering at speed. And, as you would expect in an Â£62,000 car, the cockpit is a nice place to be - for the pilot and passengers. 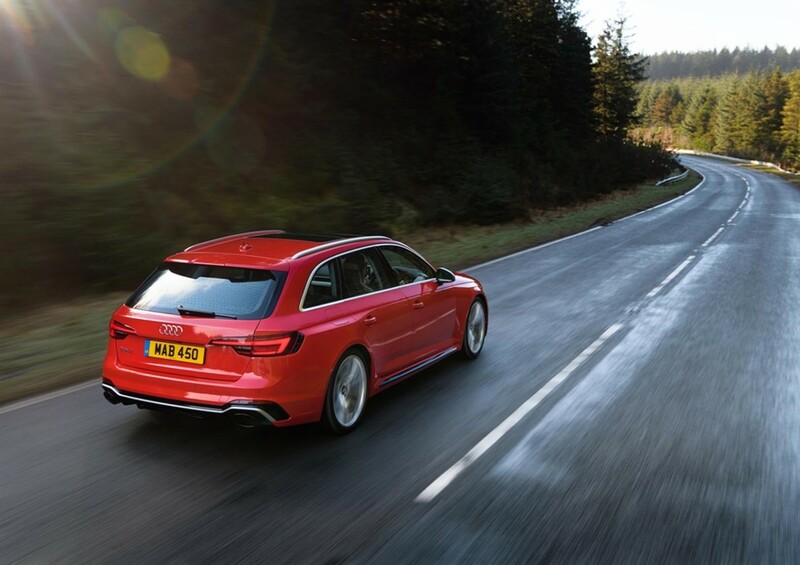 There's plenty of leg and head room in the front and rear, there's oodles of standard equipment and everything radiates quality. 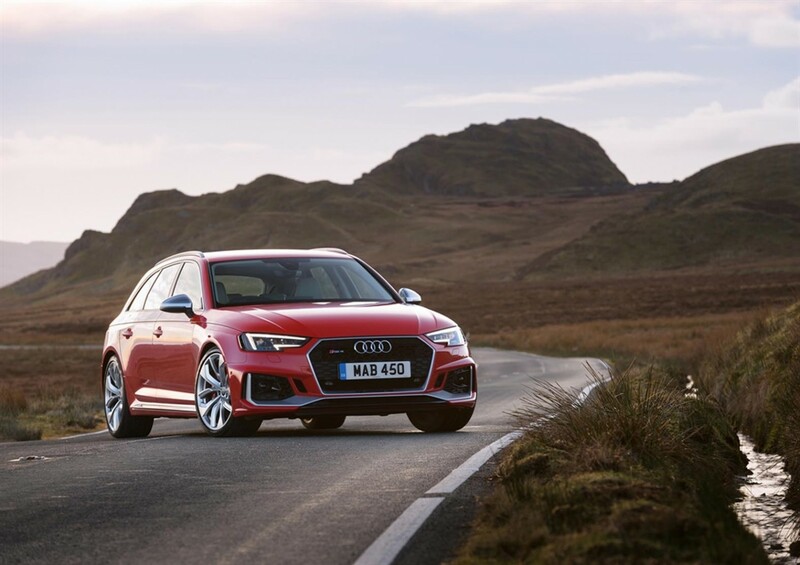 Deeply contoured RS super sport seats upholstered in Fine Nappa leather with contrast honeycomb stitching and Aluminium Race inlays leave no room for doubt about the RS 4's performance pedigree. 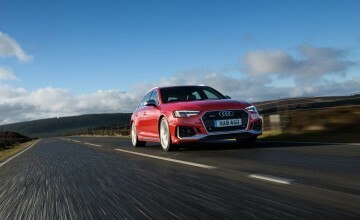 The RS-specific, fully digital Audi Virtual Cockpit is a standard feature of all UK RS 4 models, and in tandem with the 8.3-inch high resolution screen in the centre of the dashboard displays richly detailed navigation mapping, audio listings and web-based information.